One of the easiest ways to stay on top of your diet and to feel satisfied is to eat hearty soups and stews. 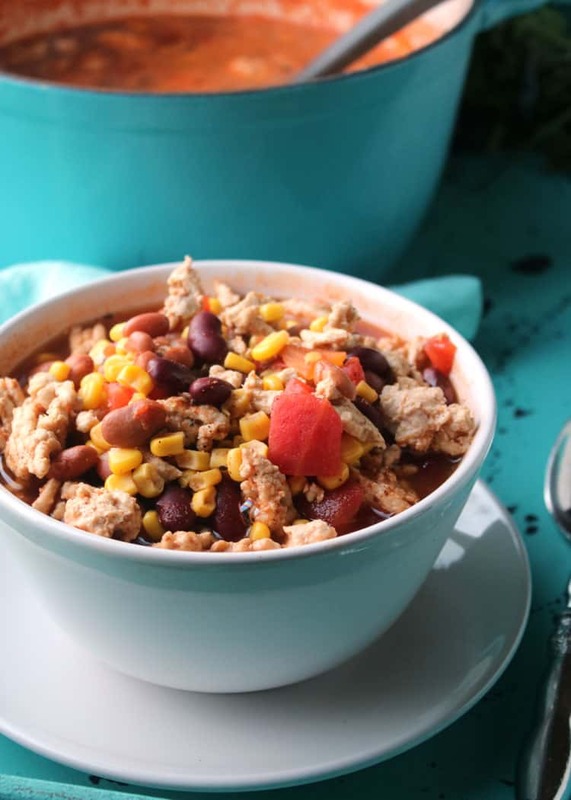 This Weight Watchers Taco Soup recipe is one of our favorites thanks to its amazing flavor and low point value for such a large portion. It also pairs PERFECTLY with our yummy Weight Watchers Banana Bread. By adding in tons of flavor rich vegetables and a few spices, you can create a soup that feels like a huge meal without wasting your entire days points. Each bowl of this soup weighs in at only 3 Points and is a perfect lunch or hearty evening meal. If you’re familiar with the old Weight Watchers program, chances are you have tried this fab Weight Watchers garden vegetable soup. Looking for more Weight Watchers recipes? Try our Weight Watchers Meatloaf, Weight Watchers Pig In A Blanket Recipe, or maybe Cookie Dough Dip Recipe (Weight Watchers Friendly). Recipes that are friendly to your waistline while being so completely appetizing are always good to have on hand, whether you’re seriously dieting or just want to eat a bit better and reduce your caloric intake. Here are the step by step instructions on how to make this delicious soup recipe. 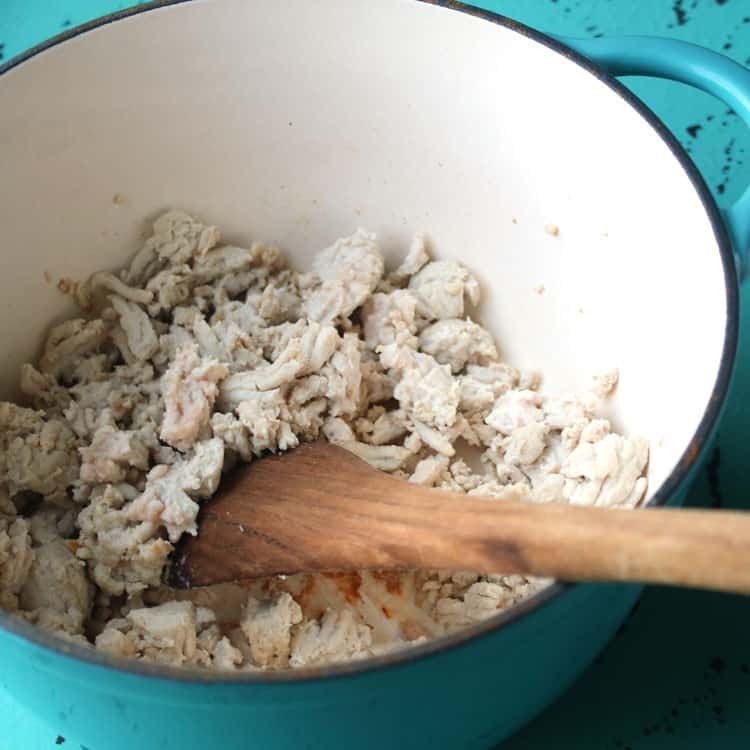 Brown ground turkey meat in a stock pot. Add pepper, onions, beans, tomatoes, tomato sauce and corn to the ground turkey in the stock pot. This soup is starting to come together! Here you have two choices. You can add the seasonings listed in the recipe, which are yum. Or, alternatively, you can add 3 tablespoons of our DIY Taco Seasoning. Add water and cook this delicious soup recipe up on the stove. It’s SO good! If you haven’t heard, the original Taco Soup recipe is fantastic. We’re talking about spicy seasonings and bite after bite of vegetables and ground meat that is just so good. Our Weight Watchers version of the soup has ground turkey–which is a leaner meat and the perfect solution when you’re trying to cut fat. We love this soup recipe! 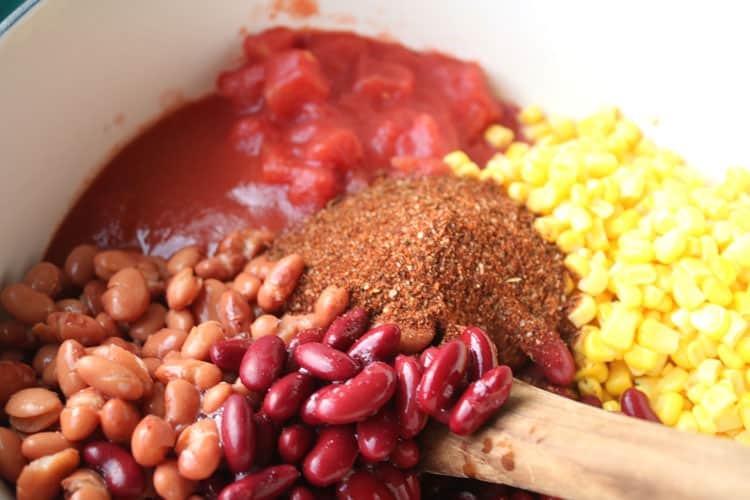 It is so easy to make…as easy as browning ground turkey, onions and peppers and adding in some tasty canned vegetables and beans. This is one of those recipes that we love to make because it is so incredibly simple. This soup goes perfectly into your meal plan each week as a starter for a meal, a great hearty lunch or even a smaller portion as a quick snack when you are feeling the need for a pick me up. The Weight Watchers Taco Soup can be adapted easily to your family preferences with little variance in point calculations. You may omit vegetables your family doesn’t care for and replace with ones they do enjoy. 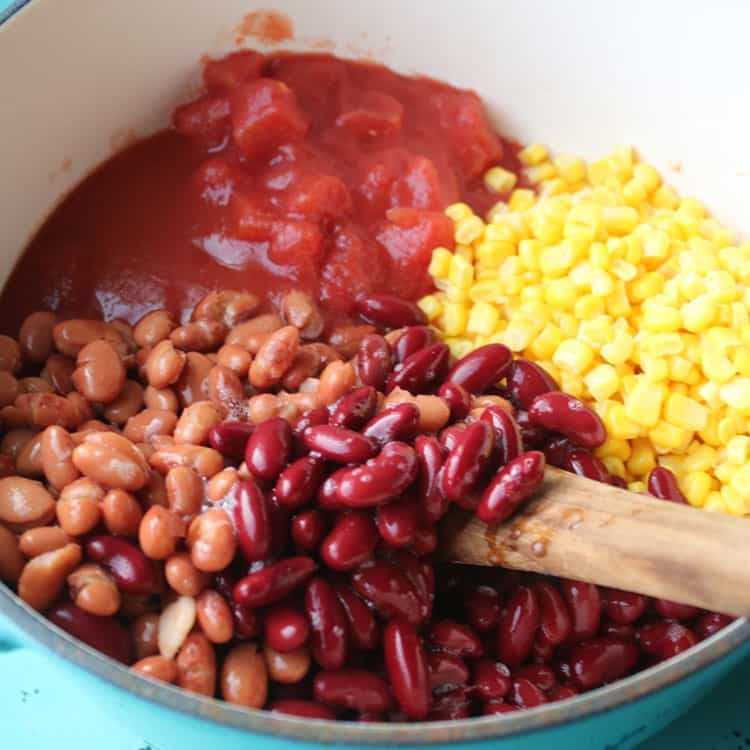 It is also very simple to leave out the ground meat and add an extra can of beans to create a vegetarian dish that everyone will love. You can also adapt this recipe and make it a Weight Watchers Crock Pot soup recipe. 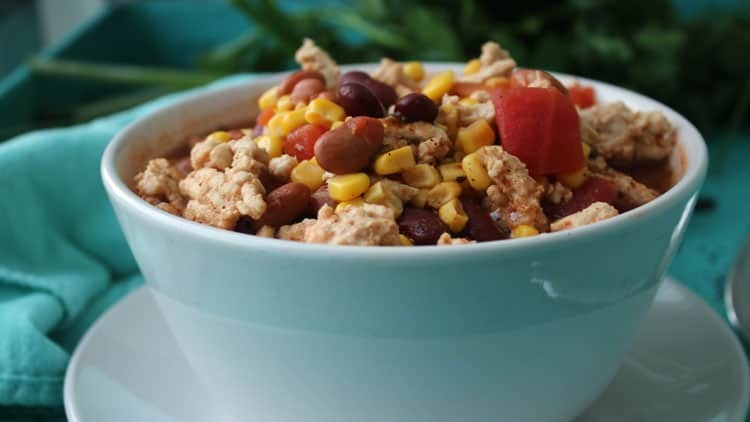 Weight Watchers Taco Soup is one of the easiest Weight Watchers recipes. Full of flavor, enjoy a healthier way of eating and our easy Taco Soup recipe. Makes 6 servings. Just 3 Smart Points per serving. It might take a little bit to load, but it doesn’t clear for me when I hit print. I’d recommend trying again. Thanks and happy to have you here! 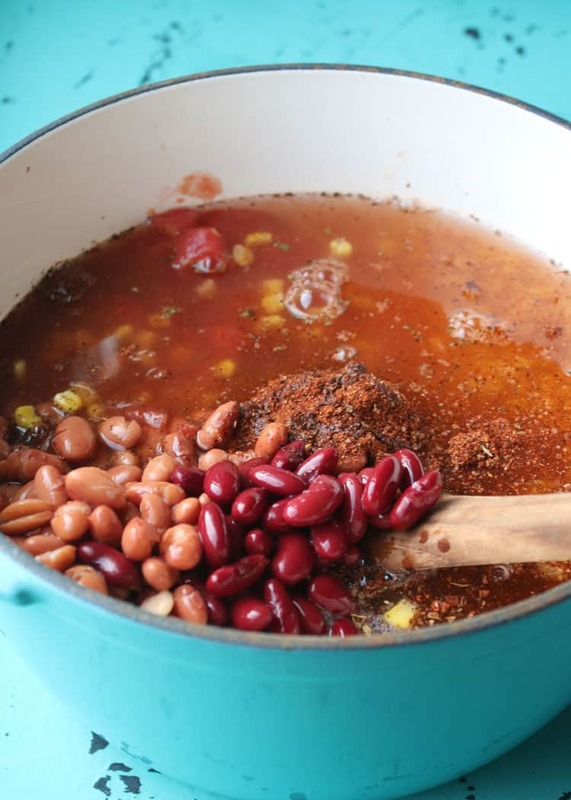 Your recipe for Weight Watcher taco soup says that a 2 cup serving is 3 “Weight Watcher” points. The current Weight Watcher program is “Smart Points”. So is it 3 Smart Points for a 2 cup serving? Smart Points are calculated with calories, and grams of saturated fat, sugar, and protein. I have the same question as Judy. I just joined WW under the new plan. I had an old WW chili recipe that gave it 3 points but nothing in the new app lists WW chili or soup for this few a points. It’s more like 5-6.
if you enter this recipe into the weight watchers app, you will find it is now zero points on the new program. Provided you use 99% fat free ground turkey. Beans, corn, and all the veggies are now “free”. Healthy and I can’t wait to make it! That’s amazing and great information! Thanks!